On a pleasant February evening, around 200 guests were gathered at Vivanta by Taj, Bangalore. The air was rife with excitement and fervor, as entrepreneurs across the nation gathered to commemorate and recognize exceptional performances and celebrate the indomitable entrepreneurial spirit. It was the 2016 edition of the Small Enterprise Business Awards, organized by Aspire Media, on 15 Feb.
And we at AgilizTech are very proud to share that we won not one, but two awards! 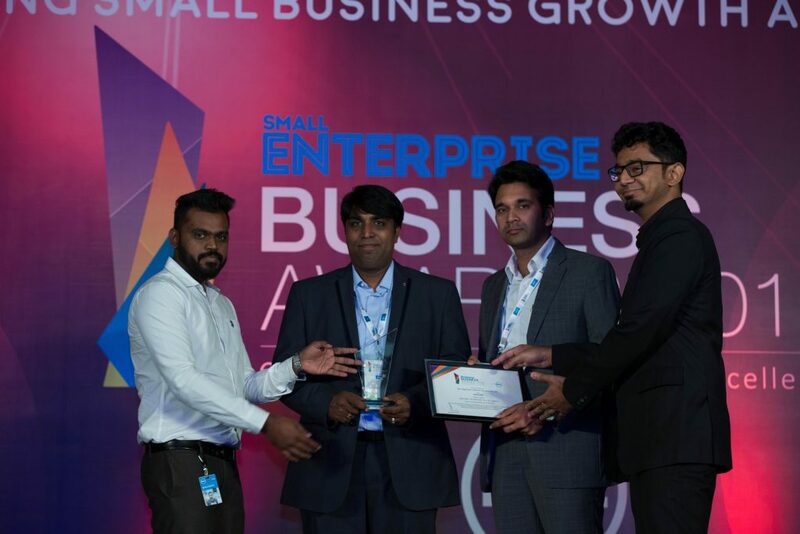 That’s right, AgilizTech was proclaimed the Winner in the Best SME – Technology and Runner-up in the Best SME – Services categories, at the gala event. As the knowledge partner of the event, KPMG India shortlisted entries after a rigorous nominations review process. The Small Enterprise Business Awards winners were adjudged based on a selection criteria consisting of Growth Performance, Financial Strength, Innovation, People Capital, International Outlook, Corporate Governance and CSR Initiatives. It was indeed a glorious moment for all Agilians, as our business excellence and growth was recognized and commended by an elite jury – an eclectic mix of startup experts, academic researchers and the who’s who of India Inc.
We thank all our customers, vendors and well-wishers who have showered us with support throughout this journey. This is just the beginning and we are sure that with our hard work and perseverance, there will be many more milestones to be celebrated. NDTV Profit covered the event, so don’t miss out the excitement, to be telecast on Saturday 11th March 9 am, with repeat telecast on Sunday 12th March 3 pm. As always, stay tuned to our social media handles for more exciting news from AgilizTech!